It is hard to think of the psyche as something that can be catalogued and that in and of itself is unknown to the subconscious as a territory that can be “cartographed”, assigning clearly defined spaces and tracing a map. Nevertheless, we know that any geographical map besides representing places and positions is the indication of possible routes that permit innumerable options. Facilitating relationships between different countries and cultures, it is conceivable to map out the psyche based on its interconnections and interferences. The image of an atlas contributes to the evocation of the desire to explore that should characterize the diffusion of psychoanalysis all over the world, but also the necessity to maintain, in the continual process of redefinition and change, the coordinates that guide our discussion. Lorena Preta is a psychoanalyst, Full member of SPI (Italian Psychoanalytical Society) and IPA (International Psychoanalytical Association). 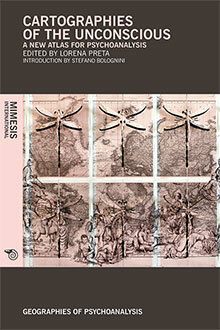 Director of the International Research Group: Geographies of Psychoanalysis. Past Editor in chief of the journal “Psyche” (2001-2009). Scientific consultant and director for many years of Spoletoscienza (Science and culture at the Festival of Two Worlds in Spoleto). She is the author of many publications including: Immagini e metafore della scienza (1993); Nuove geometrie della mente (1999); La brutalità delle cose. Trasformazioni psichiche della realtà (2015); Geographies of Psychoanalysis/ Encounters between cultures in Tehran (2015).